According to speed comparisons made by a user on Reddit, the upcoming ‘New Xbox One Experience’, is quite fast. Reddit user dieklobrille compared the speed of the current Xbox One UI, with the upcoming ‘New Xbox One Experience’ update, and the results seem to be quite impressive. According to dieklobrille the tests were performed while in the main menu of FIFA 16, after a cold boot of the console. A graph has been uploaded to IMGUR to show the results of the comparisons. 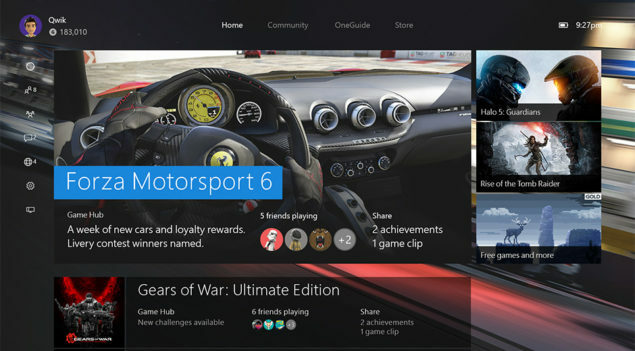 If the comparisons are to be believed, the new Xbox One UI outperforms the UI of the PS4 on all actions. The speed increase between the old and new Xbox UI varies for each action tested. Just for testing purposes sometimes I did the same task twice on the consoles – and the results were always a little bit different due to variable loading or delay times. I just wrote down all the times from the very first test. So this is just for fun and nothing that people should take too serious, especially since this is still in Beta. The measurements were done quick and dirty. People may get better or worse times depending on their button click performance, HDD and internet connection. I should add that I’m on a 50 Mbit connection with a 13 ms ping. The main reason why the NXOE is faster on pretty much everything is the new Guide that gets pretty much instantly snapped and performs very smooth after todays update. It scrolls instantly, there is no delay between switching from party to friendlist and the overall menu transition animations are much shorter. The PS4 UI is also super smooth and the differences are pretty minor here. Only the task times with the current public Xbox One UI sometimes are really bad. The overall experience really is not compareable to any of the other two consoles, because sometimes you just need to wait for something to load way too long. That said, the OS team at Xbox has done a pretty good job with the NXOE – especially with the focus on social interactions being accessible in a matter of seconds. 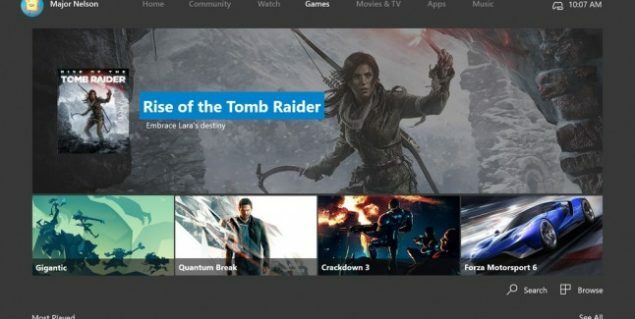 While the ‘New Xbox User Experience’ releases in November for the public, the update is currently available some of those participating in the Xbox One Preview Program. According to director of Program Management Mike Ybarra, the update will be a work-in-progress until it launches in early November. “The New Xbox One Experience will be powered by Windows 10, elevating the gaming experience on Xbox One. Integrating the speed of Windows 10, the New Xbox One Experience will get you to popular gaming features up to 50 percent faster”, said Ybarra on the Xbox Wire Website. Judging from the tests performed by Dieklobrille, the new UI performs even faster than the promised 50% on some occasions. While the UI of the PS4 is considered quite fast, the new Xbox One UI seems to operate even smoother. According to Dieklobrille though, the PS4 UI is very smooth as well, and the differences are pretty minor. Microsoft’s Major Nelson has commented on the speed comparisons and has stated that the Xbox Team has been very focused on making things MUCH faster. Nelson adds that he’s glad that fans like the new UI. The November update also marks the launch of backwards compatibility for the Xbox One. At launch players will be able to play over 100 Xbox 360 games on Xbox One with hundreds more in the months to come.